Yamaha India is all set to launch the MT-15 naked motorcycle in the country on March 15. Taking its design inspiration from the larger Yamaha MT-07 and based on the super popular R15, the 2019 Yamaha MT-15 is believed to be the most premium 150cc motorcycle that will be on sale in India. Yamaha dealerships in the country have started taking bookings for the 2019 MT-15 for a token amount of Rs 5,000. 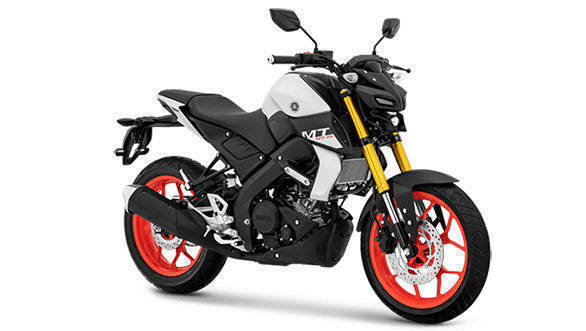 Customers who have booked the MT-15 have been committed deliveries in April 2019. 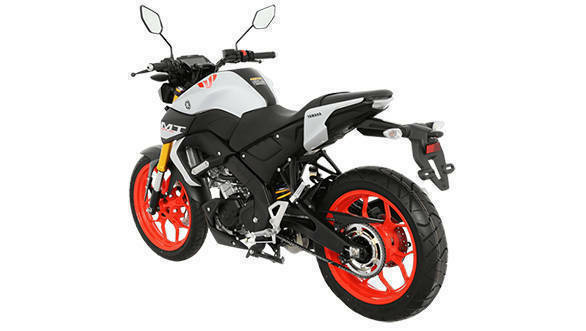 Earlier this year, the 2019 Yamaha MT-15's type approval document from the Government of Delhi's Transport Authority was leaked. This document had revealed that the MT-15 will be powered by the same 155cc motor as on the Yamaha YZF-R15 V3.0. This motor makes 19.3PS and 15Nm. However, the state of tune could be altered to match the MT-15's street friendly character unlike the track focused Yamaha R15 v3. Similarly to the newly launched R15 v3, FZ and the FZ25, Yamaha will launch the MT-15 with dual-channel ABS system. The India-spec 2019 Yamaha MT-15 will retain most of the styling as seen on the Indonesian-spec model. However, there will be two important changes as seen on the camouflaged test motorcycles. Firstly, the inverted shocks on the international model will be replaced by the conventional telescopic arrangement. The cast aluminium swingarm at the rear, which is also offered on the Yamaha R5 v3, will not be on offer. Instead, the 2019 MT-15 will come with box section swingarm. The bike has a wheelbase of 1,335mm, length of 2,020mm, width of 800mm and a height of 1,070mm. The MT-15 for India has been specifically developed for our market in a cost sensitive manner and the dimensions of this bike differ from the Thai-spec model. The India bike will have a gross vehicle weight of 288kg. 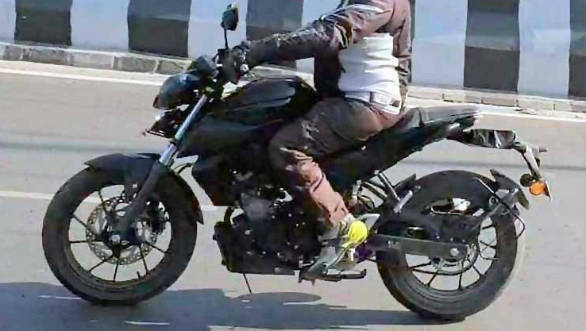 2019 Yamaha MT-15 spied in India. In terms of rivals, the 2019 Yamaha MT-15 will compete with the likes of the TVS Apache RTR 160, Suzuki Gixxer and also the newly launched KTM 125 Duke. The Yamaha R15 v3 is priced at Rs 1.39 lakh, ex-Delhi. We believe Yamaha India will price the MT-15 at an aggressive price of Rs 1.2 lakh.